1:00 - What is BIMStorm AEC Game Changers? ​The building industry is addicted to billable hours. We need to break this addiction. ​Industry thought leaders gathered at the OS2 Construction Industry Institute in Barton Malow's Detroit office. 7.14.17 USC BIM Conference - What's Next? Kimon Onuma presented how to plug into the mind of owners with BIMStorm AEC Game Changers. 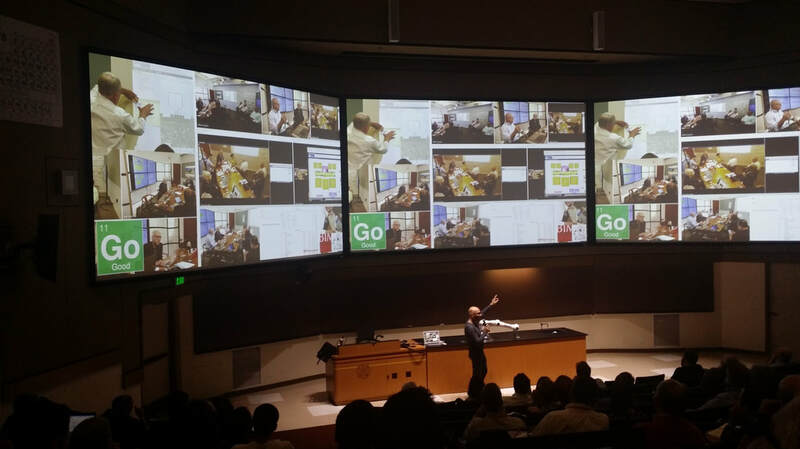 Breaking our addiction to bad practices and stovepipes presentation at the University of Southern California. 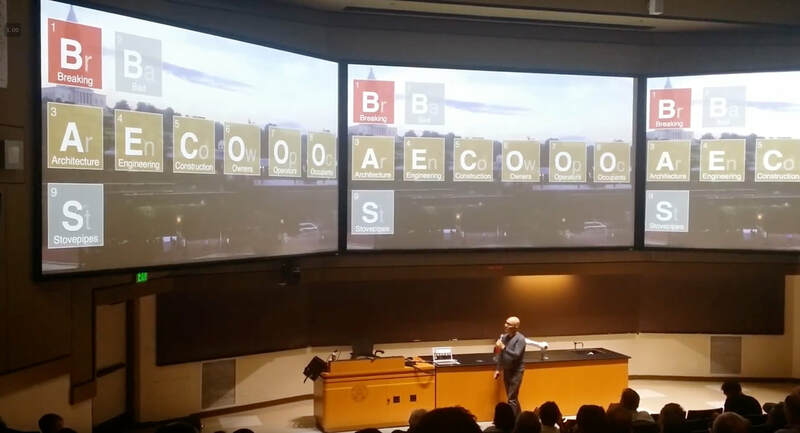 Just so happened to be in a science lecture hall with a periodic table on each wall. Deke Smith, Mark Giuliani and Kimon Onuma.